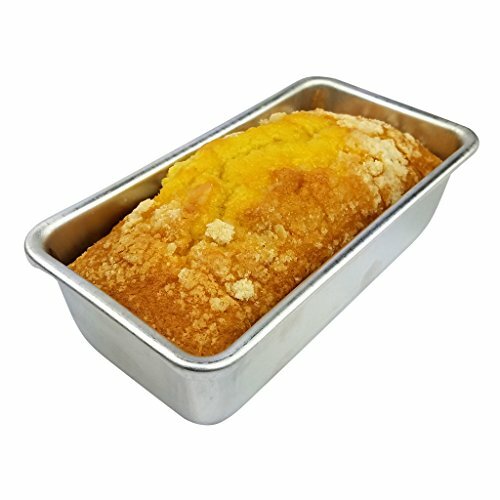 Kitchen Supply's Aluminum Toaster Oven Loaf Pan measures a down-sized 7.5 x 3.75 x 2.25 inch to fit countertop toaster ovens or a smaller oven used in an apartment, camper, or RV. The pan can be used in a conventional oven as well and is dishwasher safe. Works well for small loaves of bread, meatloaf, coffee cakes, and more. Dimensions of loaf baking pan are etched in the bottom of the pan.